Chicken Breast Meat, chopped and shaped and cooked in a gluten free crumb coating. Pre-heat oven to 200°C/390°F/Gas mark 6. Remove all packaging. 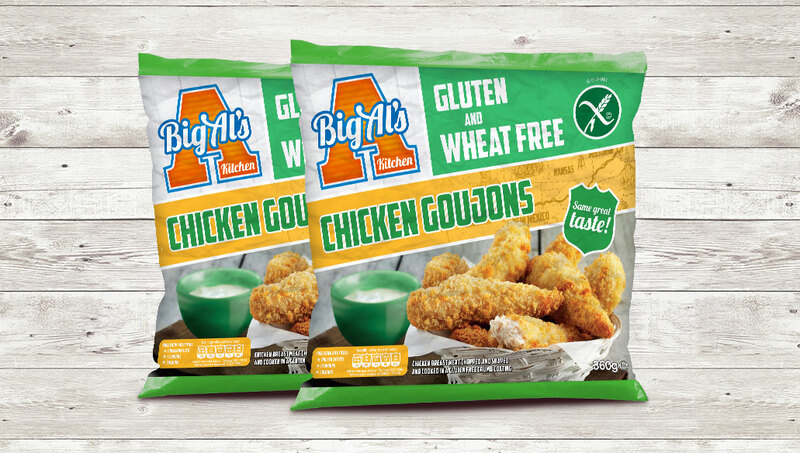 Place the Big Al’s Gluten Free Goujons onto a flat baking tray and cook for 12 to 14 minutes, turning once during cooking.